Halloween Decor is Not Just for Kids Are you throwing a Halloween party, but want to stray away from decorations that will make your house look like a kindergarten classroom? 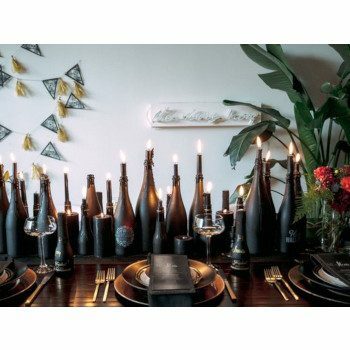 We gathered the most chicest party decor ideas that will have your guests screaming for more. Flowers are essential to every event, even a Halloween party. 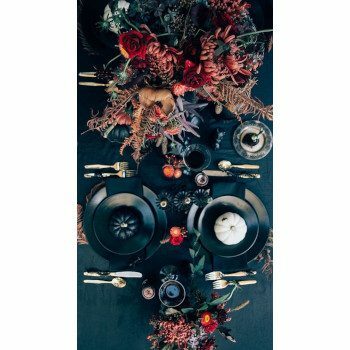 Think fall floral, bundles of dark reds and a touch of white or green. 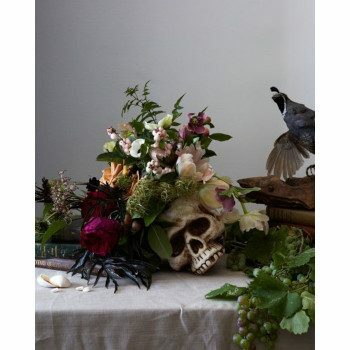 Or go for faux flowers and greet your guests with a bouquet of black roses. A bright overhead light is not so spooky. Tea light candles and candlesticks will do the trick! If you have dimmers, keep the lights low and the candles burning. Skip the cupcakes with the orange frosting and serve rich chocolate desserts instead, like a dark chocolate cake or chocolate fondue. 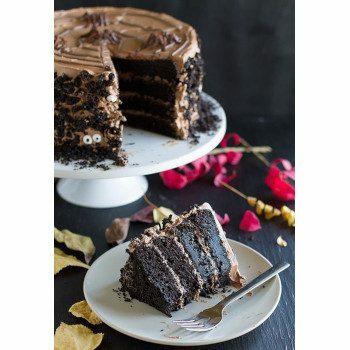 Arrange desserts on a black or antique-y cake stand. Think beyond the typical Halloween orange. Black and white decor is classic but mysterious. 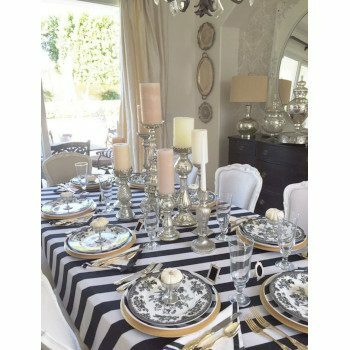 Paint your pumpkins black or white and add metallic accents for a touch of glamour. 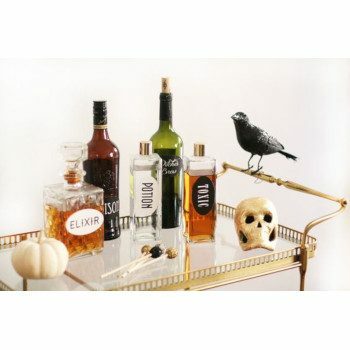 Style your bar cart with Halloween-themed cocktails and don’t forget the candy! A skeleton head or spiderwebs draped over the bar cart will definitely add a bone-chilling effect.